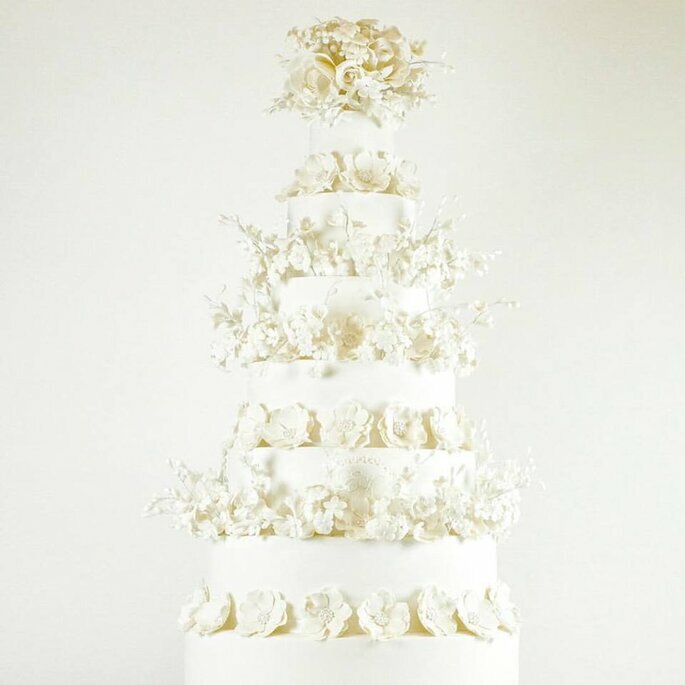 Foodies and professionals around the UK will tell you that your wedding cake is of unparalleled importance, and we here at Zankyou completely agree. However, whilst one of the most enjoyable parts of the planning experience (and something that some couples leave far too late! 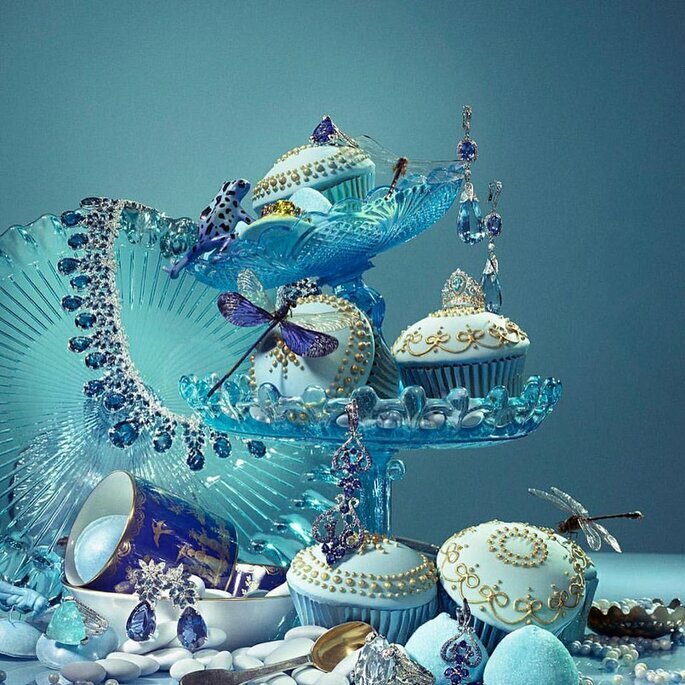 ), choosing the cake for your big day throws up more challenges than one might expect. Particularly if you are get married in a spectacular venue, your wedding cake has to make an impression: it has to be memorable, it has to match the theme and colour palette of the wedding, and, most of all, it has to taste incredible. So whilst choosing the details of your cake might throw up some challenges, we do not have the same confusion when it comes to choosing a designer. 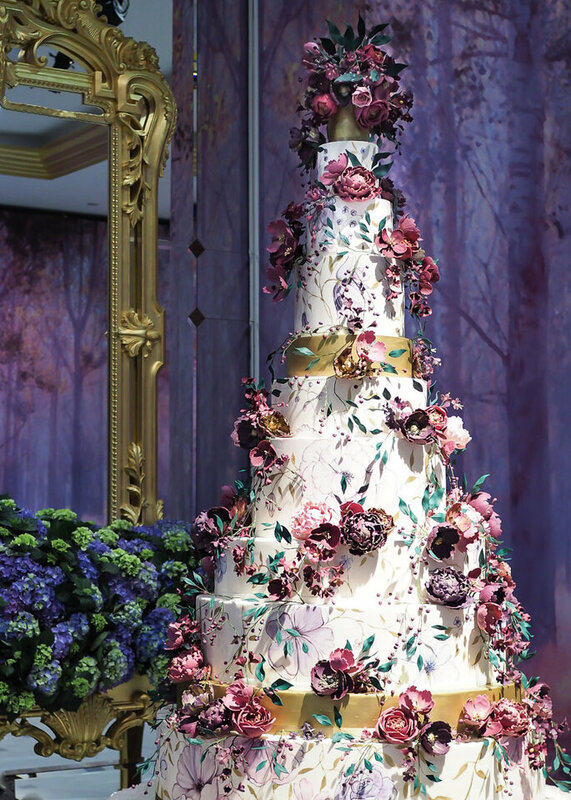 Only one cake maker in the UK matches the above criteria, and will deliver you a wedding cake plucked directly from a dream: Rosalind Miller, the genius mind behind one of the most respected and adulated brands in Britain. Frequently ranked one of, if not the best cake makers in business, there’s no one more highly-qualified to make recommendations and give advice on wedding cakes. 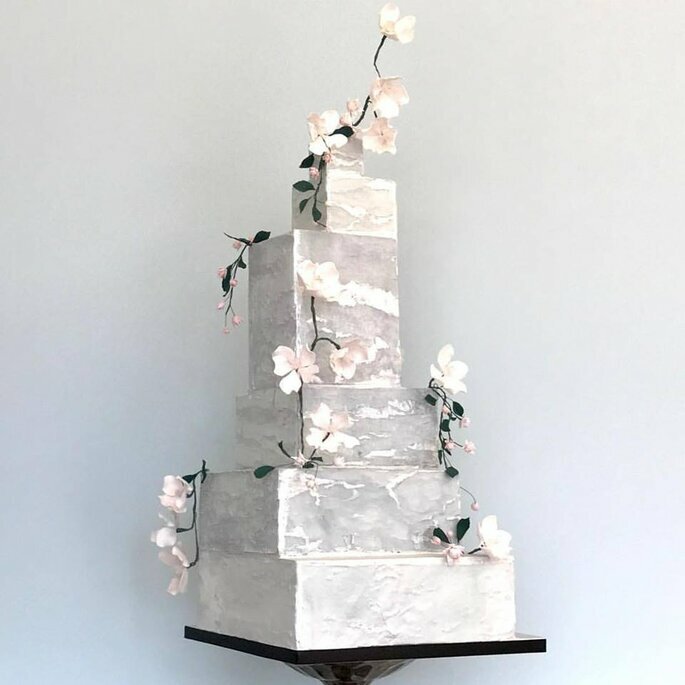 We were lucky enough to be able to ask Rosalind some questions about her own cake making business, her journey from a beginner to national fame, and her suggestions for all of you out there who are in the process of choosing your wedding cake. So read on to hear directly from this fabulous lady, and discover some of her most outstanding designs too! What was it about cake making that attracted you in the first place? It’s the creative aspect of cake making that attracted me to the cake world. I have always enjoyed being creative and liked using my hands to make things, whether it’s a sculpture, painting, sugar flowers. Can you tell us a little more about the process of creating one of your wedding cakes from start to finish? How long does it take to make, and how many people are involved? We’re a small team of 7, made up of myself and my daughter and Co-Director Yasmine, and our lovely sales and baking staff. The length of time needed to make a cake depends on the size and the design of the cake. For very large elaborate cakes we may need 5 people working for weeks on one design. For many designs we’ll make flowers or sugar decorations in advance, and different staff members specialise in different things so often everyone is involved at some stage. Once the design has been agreed with the couple, we have a meeting with the Production Manager to make sure all the details are passed onto the kitchen team. For fondant iced cakes we cover each tier with a layer of chocolate ganache, to keep the cake lovely and moist and it also allows us to create perfectly sharp edges. We then cover each tier with fondant icing and only once the icing has set, we can start decorating the cake. 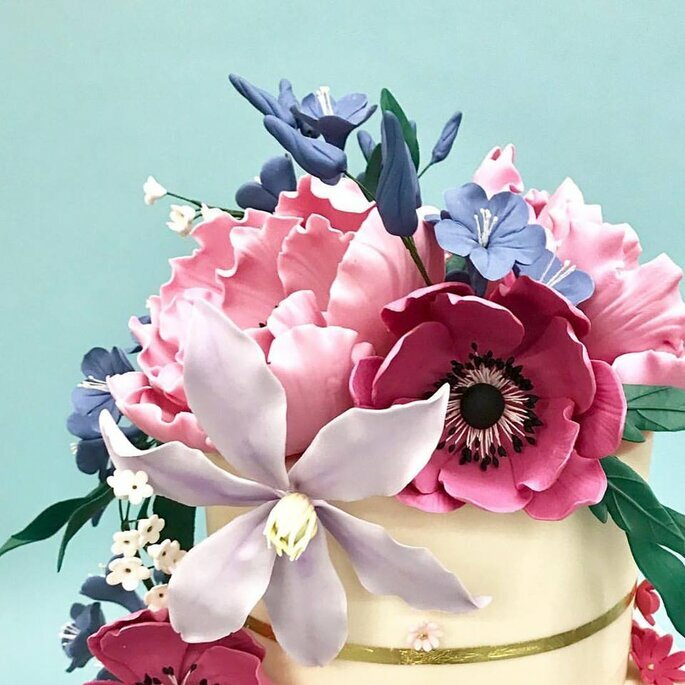 The decorating time will depend on the type of decoration; if it’s sugar flowers for example, we will tend to make them as far in advance as possible as they are very time consuming and can be very complex to make. How has the company developed since 2007? 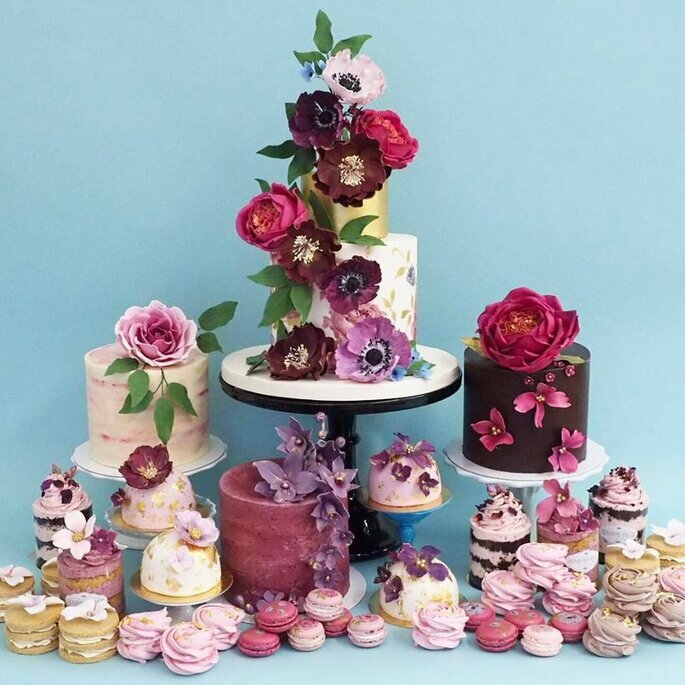 I have gone from baking cupcakes and making sugar flowers from my home kitchen with 1 assistant and selling them on Greenwich market, to being Harrods’s wedding cake maker and creating cakes for many Royal weddings in the Middle East. I have worked very hard to get to where I am today. The team and I put our heart and passion in every cake that leaves the studio. How many cakes do you make per year – not just for weddings, but for all the types of events that you cater to? We do a couple of hundred cakes a year and that’s not including the cakes and sweet treats on the dessert tables that we make. On a more personal level, be honest with us – what is the best cake flavour out there? Our most popular flavour, which is also by far my favourite one, is our Raspberry & Vanilla as the fresh raspberries the Mauritian vanilla sponge adds some texture to the sponge. The raspberries counterbalance the sweetness of the buttercream. We make a Swiss meringue buttercream rather than American buttercream as it’s much lighter, not as sweet and compliments the fluffiness of the sponge. We also have some really interesting flavours in our online Confection by Rosalind Miller range. It’s a hard choice between the Raspberry and Vanilla and the Spiced Honey cake from our Save The Bees range (in partnership with Friends of the Earth). Do you have a “most memorable moment” from the kitchen? The most memorable moment in our kitchen here in Brockley (London SE4 2FL) would have been the preparation of our first Royal wedding overseas. It was hard work and it required a lot of planning. It was quite stressful as this wasn’t something that we’d done before, but it was also extremely exciting to take part in such a large project. It really created a strong bond within the team. 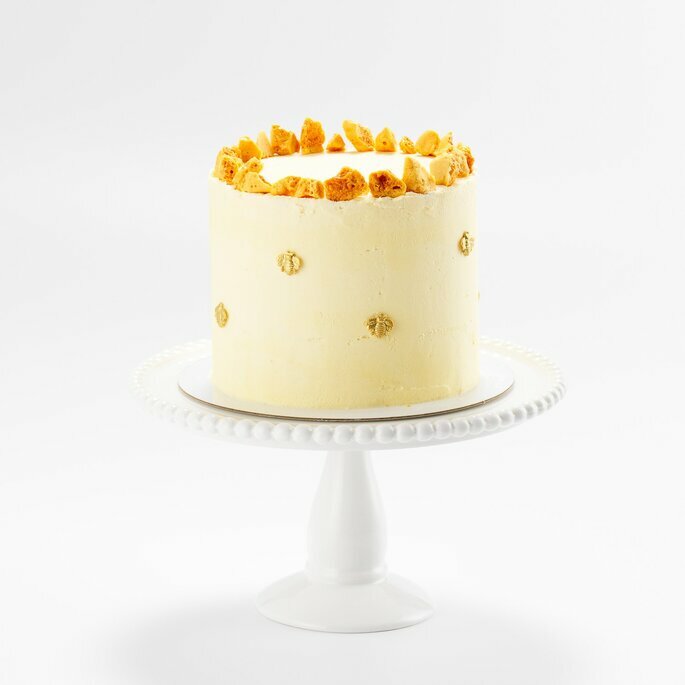 Do you have any advice for couples who are just starting to look for someone to make their wedding cake? 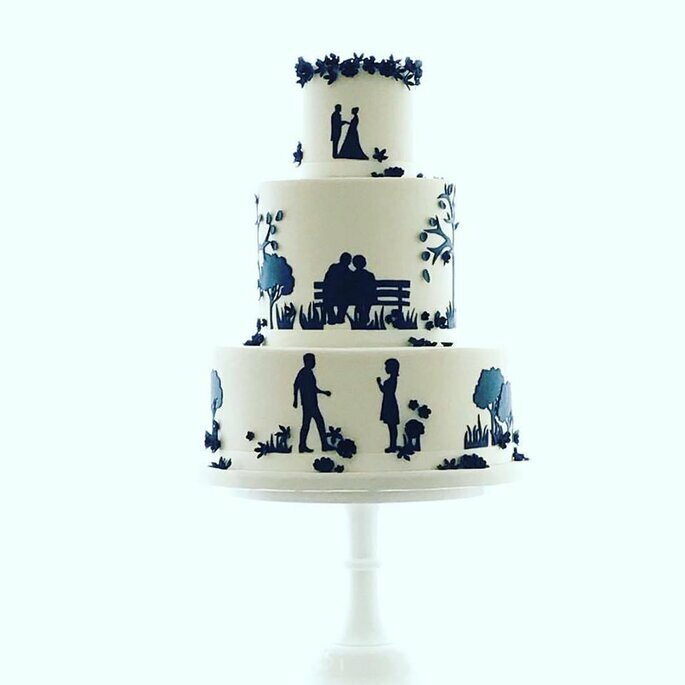 I always advise the couples, prior to the consultation, to determine what is important for them, whether it’s the intricacy of the design, specific colours or the height of the cake. For me, it’s important to make it as personal and unique to them and their story as possible. It’s always easier to start looking at cake designs when you know what you are looking for. And to finish with a difficult one – of all the cakes you have created, which one are you proudest of? This is a very difficult question but if I really had to choose one, I would say that one of my very favourites is our “Majestic Florals”. The picture doesn’t do it justice, but this giant was over 2.5 metres high and required several weeks preparation. This was for a Royal wedding in the Middle East last year and it required the whole team to fly over to assemble and finish the cake and the 2 dessert tables to go with the cake on site. I just love the colours, and very much enjoyed hand painting all the flowers on the different tiers. 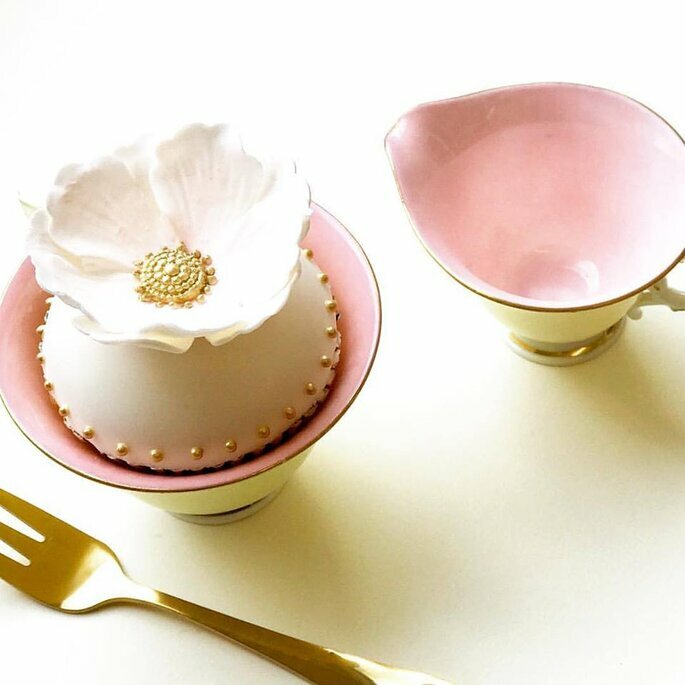 A huge thank you to Rosalind Miller for taking time out of her very busy schedule to chat with us here at Zankyou – and we hope you have been convinced to look beyond that plain vanilla design at your local bakery to something a little more extravagant! 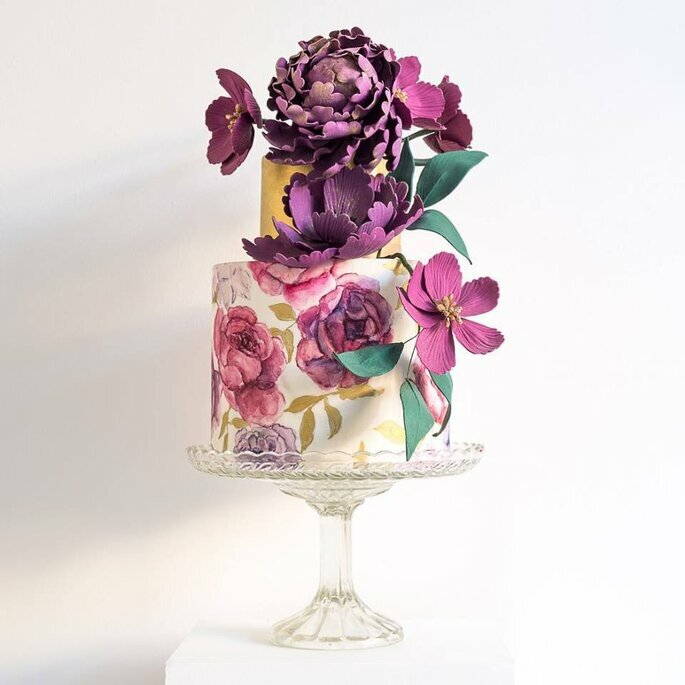 For more incredible cake designs, head to Rosalind Miller Cakes online, or check out their brilliant Instagram page for bite-sized bits of inspiration. And most importantly – don’t leave the cake until the last minute! Get lookin’ so your bakers can get cookin’!